“The Castle” in Summerland Isles, is considered by most to be the most beautiful and elegant canal home in the neighborhood. 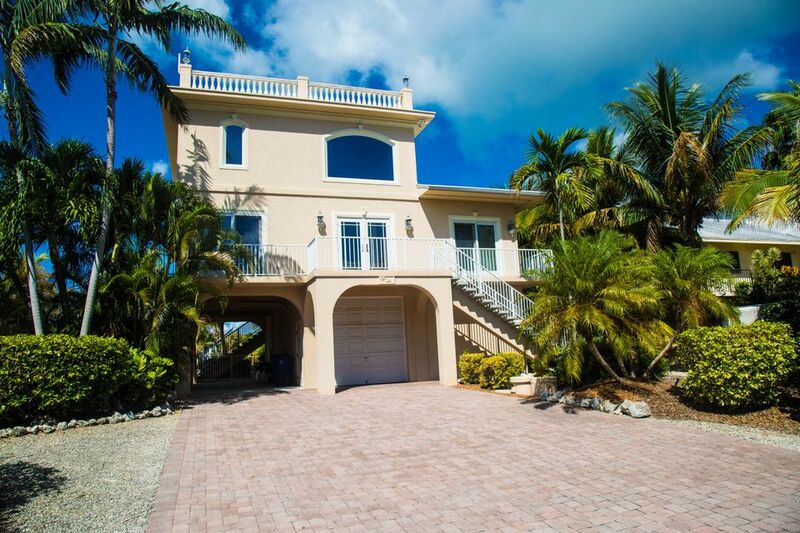 Custom built with 4 bedrooms, 3 baths, this home is designed for entertaining. Enjoy the large roof top sundeck with gorgeous Ocean and Gulf views. The exterior features include a step-down concrete dock with boat lift and davits, brick pavers, heated in-ground pool and spa, two car garage, standing seam metal roof, Anderson windows and doors, tropical landscaping, fenced yard and underground cistern for irrigation. Quality interior finishes include custom cabinetry with granite counter tops and stainless steel appliances. There is a separate guest apartment with private entrance. Enjoy excellent deep water boating to the Atlantic and Gulf of Mexico. Beautifully furnished with Eastern Caribbean dÃ©cor.